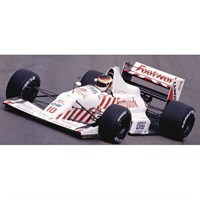 Spark 1:43 resin model of the #10 Footwork Arrows A11B that Bernd Schneider drove during the 1990 Formula One season. 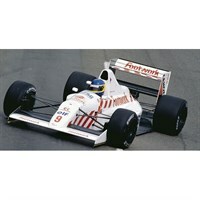 Spark 1:43 resin model of the #9 Footwork Arrows A11B that Michele Alboreto drove during the 1990 Formula One season. Spark 1:43 resin model of the #10 Footwork Arrows A11B that Alex Caffi drove during the 1990 Formula One season.